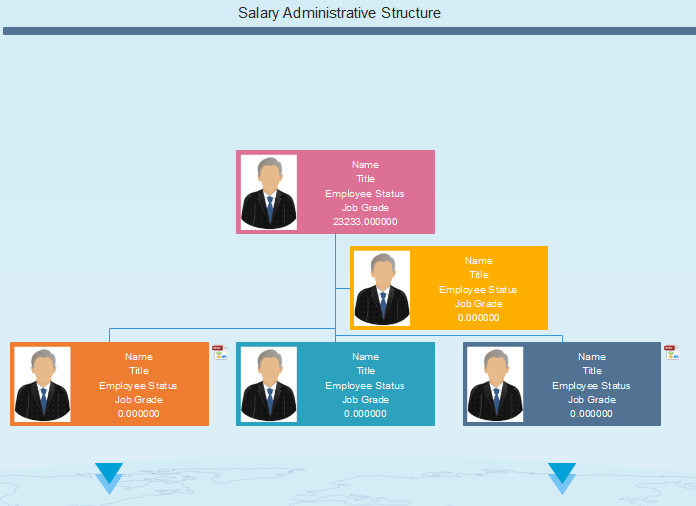 Download Professional Administrative Structure Examples for Free! Administrative structure examples can visually outline the internal structure of a company or an organization and clearly define who does what, whom to report to and who makes the decisions. 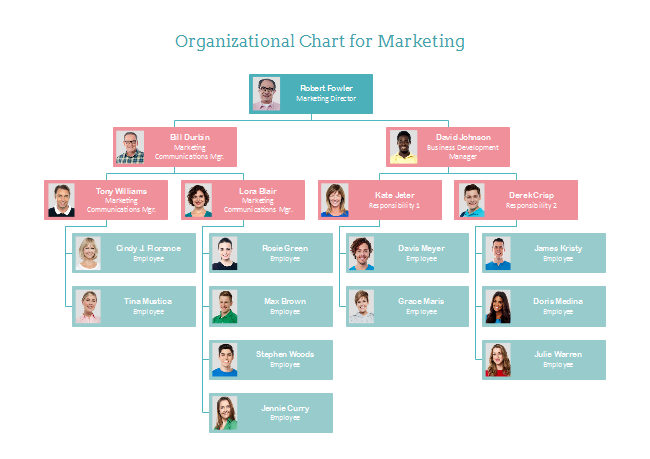 Following are administrative structure examples created by Org Chart Creator, a professional org chart application with many handy features. This article will introduce some features in below administrative structure examples. Here is a detailed finance administrative structure which specifies the detailed job responsibility of single person. This administrative structure example can be also applied to those big companies. 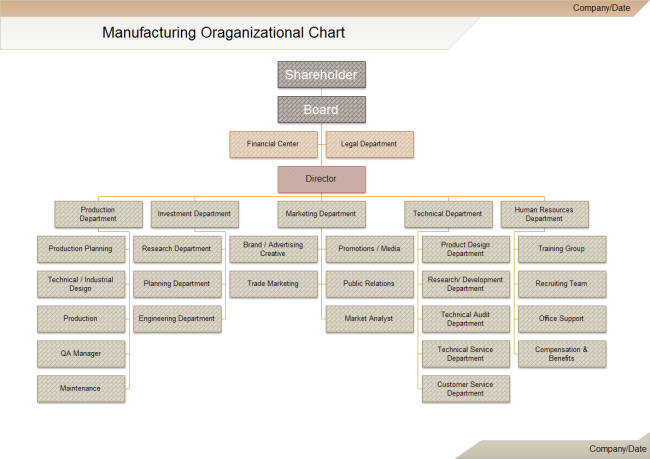 This is an administrative structure of marketing department. 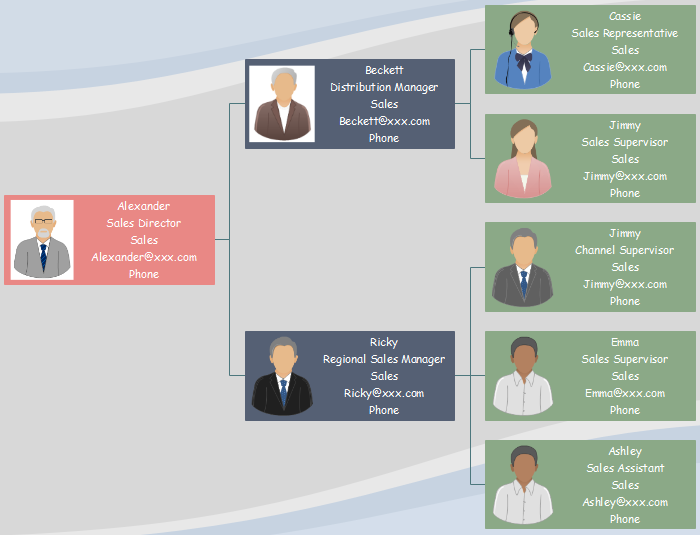 You can text the information one by one or make those data into a excel form and import to the org chart by a few clicks. This software company administrative structure clearly tells us that Alexander is big boss who can make decisions. 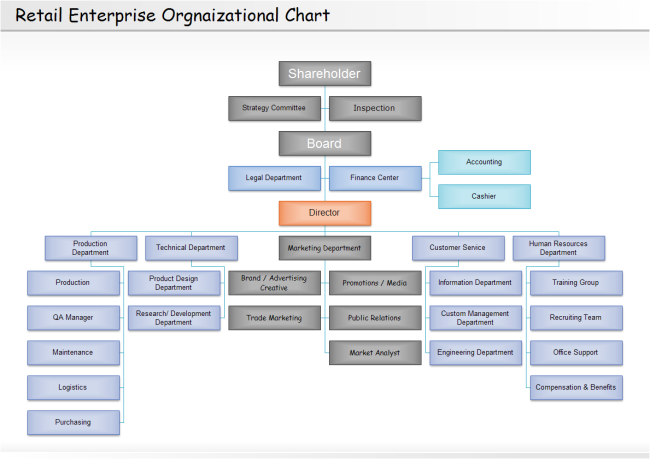 You can also download this org chart for free and customize the content of your own company and make a new org chart. This is a clear but a little boring retail administrative structure. You can import beautiful photos of each person to make this structure more attractive. You can also add background to make it more beautiful. 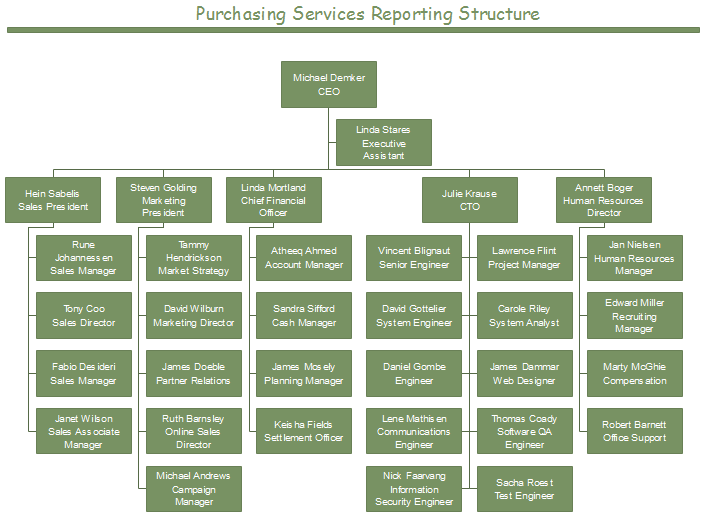 This purchasing service administrative structures looks a little humdrum at the first sight. You can change the color of different positions and add a background to make it more eye-catching. This is a very simple salary administrative structure. You can set the display options if there is something confidential. This is a specific manufacturing administrative structure which outlines the whole departments of this company. All the colors, fonts and background can be changed. 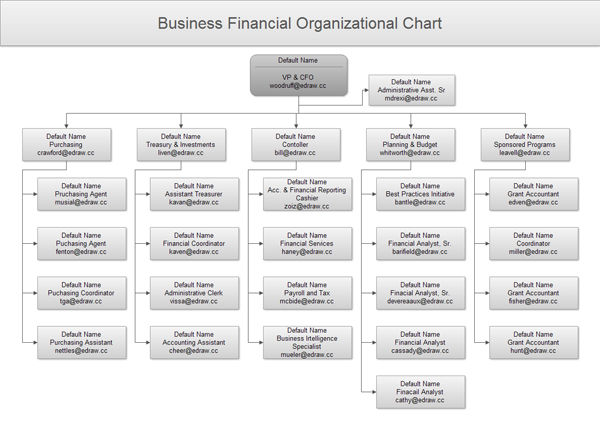 This is a pretty professional sales department administrative structure with all the information listed in the chart. 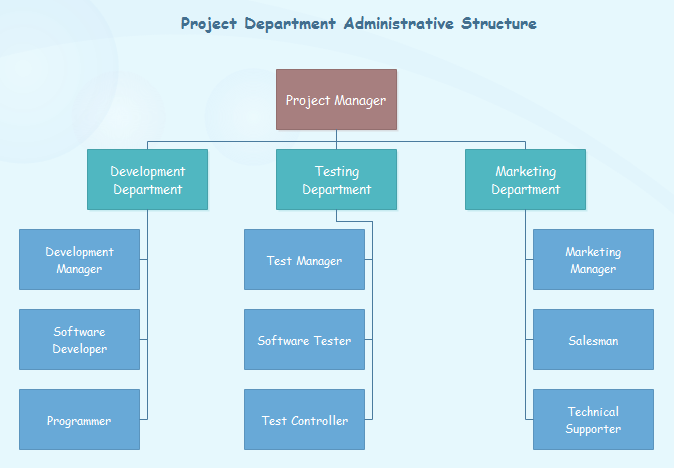 This simple administrative structure example depicts the subdivisions of project department and its specific positions. Do you wanna create administrative structure for your company? 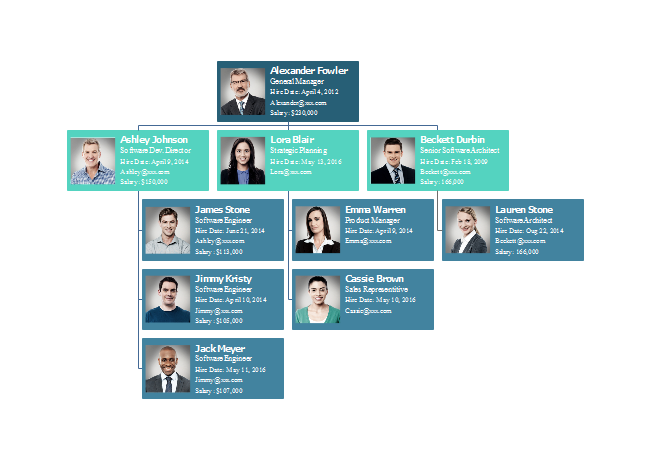 Download Edraw Org Chart Creator and create now!